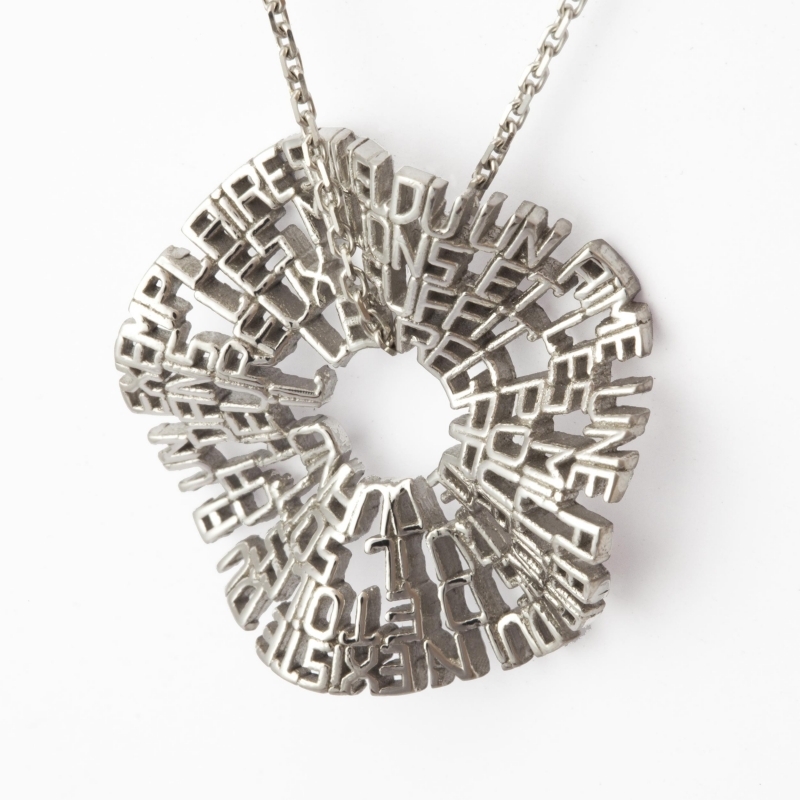 Like the famous French poet, Guillaume Apollinaire, who composed calligrams, this pendant is a visual image of the words from the "Little Prince" in which he talks about his flower. “If someone loves a flower, of which just one single blossom grows, in all the millions of stars, it is enough to make him happy just to look at the stars.” ― Antoine de Saint-Exupér. While the words create the shape they are also an integral part of the pendant's aesthetics. Handmade in 18 carat gold in the colours of your choice (yellow, pink or white) thanks to an exclusive and patented technique.